Posts tagged with "Louis Vuitton"
Louis Vuitton Summer Capsule Collection to Add to your Wardrobe! Spring may have arrived, but I’m sure you are already thinking about your summer wardrobe and the trendy pieces from Louis Vuitton you can’t wait to add to complete your full look! The latest leather goods offerings from Louis Vuitton are here in the Summer Capsule Collection. The collection features Vuitton’s iconic bags, the Speedy, Neverfull, Keepall, and more, transformed with kaleidoscopes of contrasting colors. 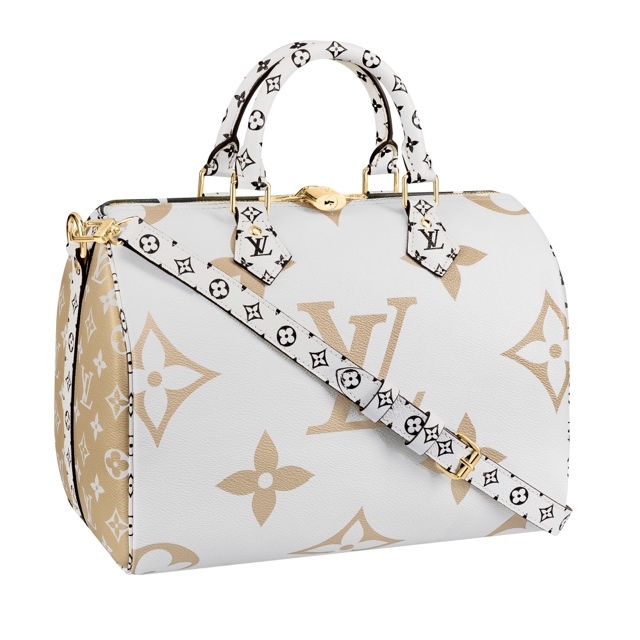 Oversized or miniaturized, the iconic LV motif has been revisited in a sun-kissed graphic style. The collection celebrates the spirit of travel and is the perfect Summer companion. This entry was posted in Uncategorized and tagged 360, 360 Magazine, accessories, designer, fashion, handbags, Keepall, leather, Louis Vuitton, LV, miniturized, Neverfull, oversized, Speedy, spring, summer capsule collection, summer collection, sun-kissed, Tara McDonough, Vaughn Lowery on April 2, 2019 by wp360mag. Harrier’s gown was created in the Louis Vuitton’s Paris atelier with an ethical and eco-responsible approach established with long-time verified suppliers. The gown is made of TARONI SPA blue crepe silk certified by the Global Organic Textile Standards (GOTS), which is the worldwide leading textile processing standard for organic fibres, including ecological and social criteria. The handmade embroidery by Vermont Paris required more than 450 hours of work, and is made of glass beads, Swarovski crystal shards and sequins respecting the STANDARD 100 by OEKO-TEX®, an international quality label for harmless textiles. This year makes the 10th anniversary of RCGD, and in honor of this, the sustainable criteria will be overseen by Good On You, a new partner of RCGD. Good On You is the world’s leading rating system on ethical and sustainable fashion to assist people in making positive shopping choices–all delivered through an accessible app. Also supporting the sustainable lifestyle are RCGD 2019 partners TESLA, Absolut Elyx and AKA luxury serviced residencies, a vibrant destination featuring exquisite residences designed for stays of 31 days or longer. It is because of their help along with annual contests that financial security can be provided to MUSE School CA. MUSE School CA is an environmental non-profit educational organization Amis Cameron founded in Calabasas, Calif. with her sister Rebecca Amis. This assistance enables students to access a transformative educational experience. MUSE School CA ensures smaller class sizes, personalized instruction and learning practices; all set within an inspiring and beautiful campus. Through these key elements, MUSE School CA paves the way in creating leaders of the future. For more information, go to www.museschool.org. This entry was posted in Feature and tagged 360, 360 Magazine, 91st Academy Awards, Absolut Elyx, Academy Awards, awards season, awards show, BLACKKKLANSMAN, California, designer, ETHICAL LOUIS VUITTON, global organic textile standards, gots, Laura Harrier, Louis Vuitton, luxe, luxury, MUSE School CA, oleo-tex, oscar, rcgd, Rebecca Amis, red carpet, Red Carpet Green Dress, Red carpet green dress initiative, Suzy Amis Cameron, Tara McDonough, taroni spa, TESLA, Vaughn Lowery on February 25, 2019 by wp360mag. This entry was posted in Travel + Food and tagged 360 Magazine, André Fu, art Basel, Atelier Biagetti’s Anemona Table, Atelier’s Oï’s Serpentine Table, Bailey Beckstead, Beau Wrigley, Carolina Daur, Cecconi’s soho beach house, Cocoon swing chair, Diana Macaraeg, fashion, Fiona Scarry, Isaac Hindin-Miller, Italian design studio, Louis Vuitton, Miami, miami art district, Nathan Browning, Objets Nomades, Olympia Scarry, Poppy, Ribbon Dance chair, Sue Hostetler, The Campana Brothers, Tokujin Yoshioka’s Blossom Vase, travel, Vaughn Lowery on December 7, 2018 by wp360mag. Since 2010, Louis Vuitton provided a travel case for one of the world’s most sought-after, legendary trophies of the world: the FIFA World CupTM Trophy. For FIFA World CupTM Russia 2018, Louis Vuitton’s relationship with FIFA World CupTM has grown to encompass a new leather good collection: the Louis Vuitton 2018 FIFA World CupTM Official Licensed Product Collection. 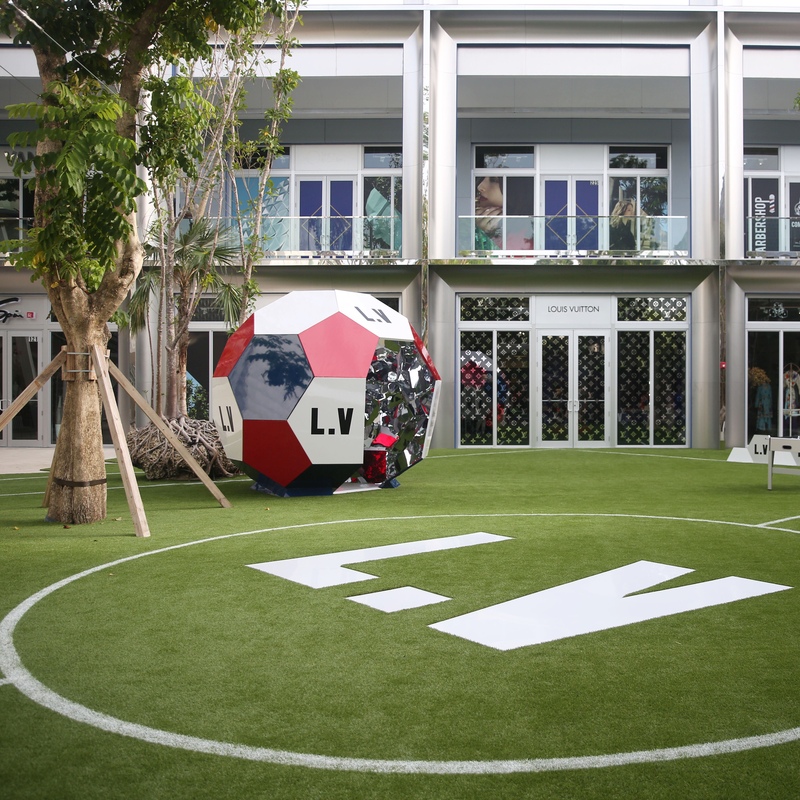 The pop-up store features unique versions of Keepall and Apollo bags, and a selection of small leather goods inspired by the legendary Official Match Ball of the 1970 FIFA World CupTM. Made with the House’s iconic Epi leather first introduced in the 1920s, the styles will be proposed in up to three colors combinations. The hexagon design is created using a three-stage embossing procedure that is both innovative and based upon the House’s historic savoir-faire, allowing each coloured hexagon to have a richly textured feel, reminiscent of classic footballs. For a more exclusive version, a “Made-To-Order” Keepall is proposed in a rich palette of 8 pentagon colors. Each of them can be associated with one of the 5 colors of trimmings to create a Keepall in the colors of almost any national flag. Completing this sophisticated offer, an Epi leather luggage tag could be embossed with one of 35 national flags, including the nations taking part in the competition. In addition, there will be live streaming of games open to the public at Paradise Plaza. Faithful to its heritage, Louis Vuitton has opened its doors to architects, artists and designers across the years, all the while developing disciplines such as ready-to-wear, shoes, accessories, watches, jewelry and stationery. These carefully created products are testament to Louis Vuitton’s commitment to fine craftsmanship. This entry was posted in Travel + Food and tagged 360, 360 Magazine, AC Milan, Alberto Lamadrid, Alexis Sanchez, Alison Zhuk, Andres Fanjul, Antoine Griezmann, Arsenal, art, Arturo Vidal, Atletico Madrid, Barcelona, Bayern Munich, Borrusia Dortmund, Camila Cuevas, Caroline Vreeland, Celene Gee, Chelsea, Christian Eriksen, Cristiano Ronaldo, Daniel Dresbach, Daniela Moreno, David de Gea, Diana Macaraeg, Diego Godin, district, Eddie Ennis, Eden Hazard, Edinson Cavani, Elysze Held, fashion, fifa 2018, football, Gareth Bale, Gerard Pique, Gianluigi Buffon, Gigi Spadei-Vogel and Ronnie Vogel, Giorgio Chiellini, Gonzalo Higuain, high end, Hugo Lloris, Jan Oblak, Jason Odio, Jerome Boateng, John Andrews, Juventus, Kevin De Bruyne, Leonardo Bonucci, Lionel Messi, Louis Vuitton, Luis Suarez, Luka Modric, luxury, Manchester United, Manuel Neuer, Marcelo, Marco Verratti, Marek Hamsik, match ball, Mats Hummels, Mesut Ozil, Miami, N'Golo Kante, Neymar, paradise plaza, Paulo Dybala, Petra Levin, Pierre-Emerick Aubameyang, PSG, Rachael Russell, Raissa Herrera, Real Madrid, Robert Lewandowski, Russia, Sergio Aguero, Sergio Ramos, soccer, Soledad and Justin Loew, sports, Thiago, Thibaut Courtois, Toby Alderweireld, Tommy Cabrerizo, Toni Kroos, Tottenham, travel, Vaughn Lowery, Virgil Abloh, World Champion, world cup, Yolanda Colindres, Zlatan Ibrahimovic on June 25, 2018 by wp360mag. 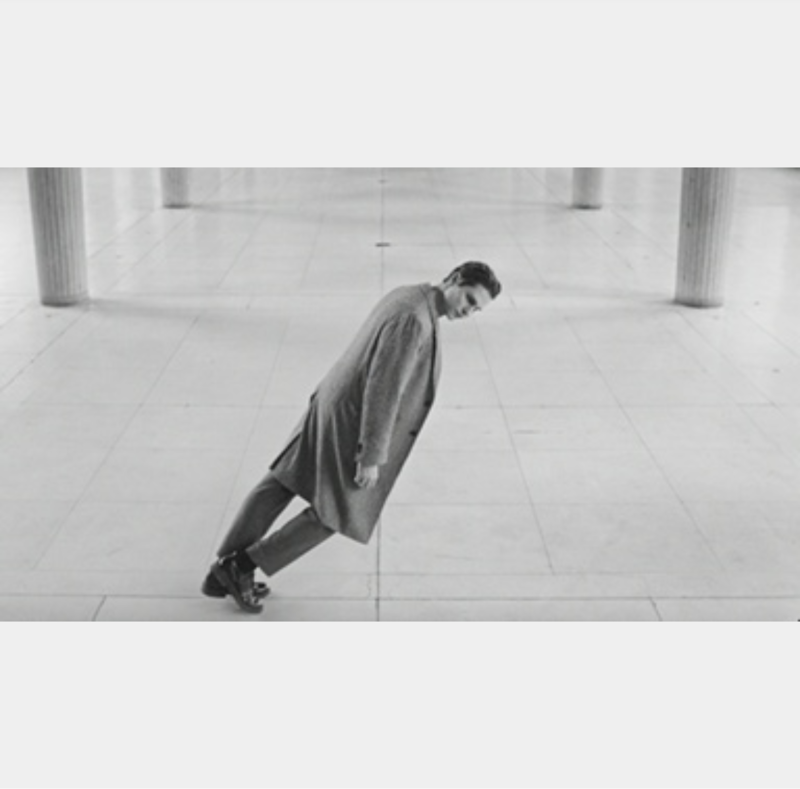 Her has shared the music video for their new single “We Choose”, directed by Antoine Poulet and Giorgio Martinoli. “We Choose” is the Her’s first release since the untimely passing of co-founder Simon Carpentier following a long bout with cancer. On “We Choose,” Victor Solf carries haunting verses into a hypnotic refrain with an airy sonic palette and classic soul style punctuated by Carpentier’s final vocal performance. The new song and video also herald the arrival of their anxiously awaited self-titled full-length debut, Her [Republic Records] — out March 30, 2018 and available now for pre-order, here. While still in school, the half-German Victor and the French Simon met in 2007, bonded like long lost brothers, started making music together equally informed by old school soul a la Otis Redding and post-Yeezus hip-hop, and formed Her in 2015. Success followed as the breakout “Five Minutes” soundtracked Apple’s “Shot on iPhone” campaign and eventually generated over 6.7 million Spotify streams. The duo released a pair of EPs Her Tape #1 and Her Tape #2, spawning fan favorites such as “Quite Like,” “Union,” and “Her” and amassing over 20 million cumulative Spotify streams. Merging artfully seductive and provocative visuals and dreamy newer wave pop with a jazz undercurrent, the boys crisscrossed the globe in support of the EPs, including making waves stateside. In the middle of it all, unbeknownst to anyone but those closest to him, Simon lost a long, quiet, and arduous battle with cancer in August 2017. 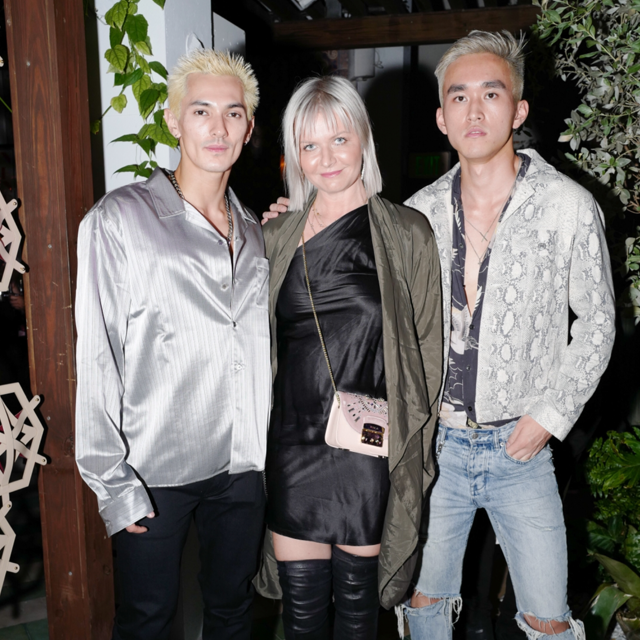 With his friend’s spirit always close by, Victor worked on what would become the duo’s 2018 major label full-length debut, Her [Republic Records]. 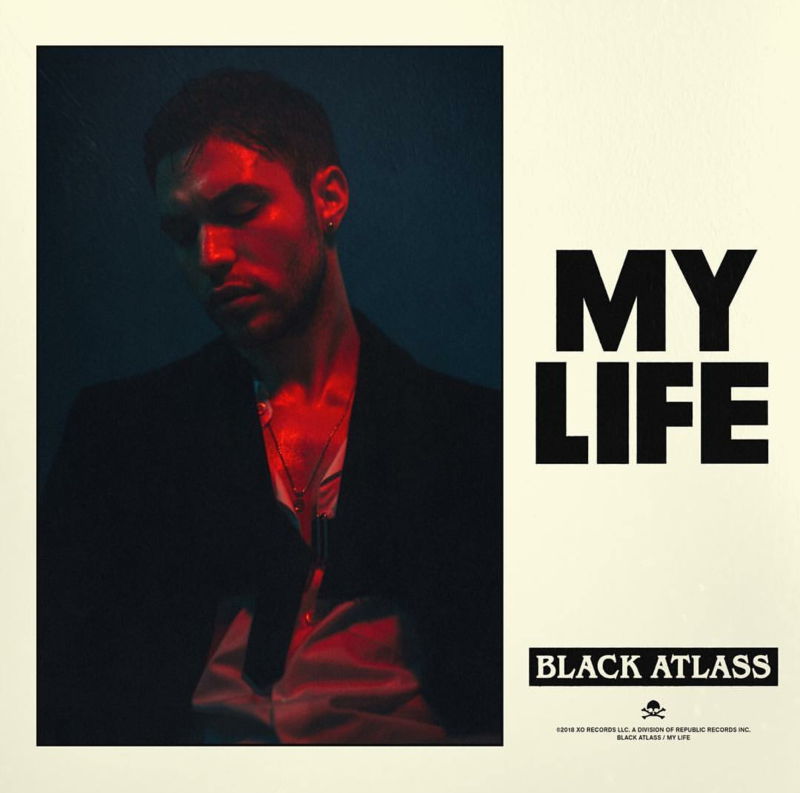 This entry was posted in Uncategorized and tagged 360 Magazine, album, American Recordings, Amine, Antoine Poulet, Apple, Ariana Grande, Avery Lipman, belly, Big Machine Records, billboard, Black Sabbath, Boominati Worldwide, Brushfire, Casablanca Records, Cash Money, D Savage, Damian Marley, Debut, DNCE, Drake, fifty shades of grey, Florence + the Machine, Fox TV, Giorgio Martinoli, Giorgio Moroder, Gotye, Greta Van Fleet, Hailee Steinfeld, Her, hollywood records, iPhone, j balvin, Jack Johnson, James Bay, James Blake, Jessie J., John Mellencamp, Jordan Smith, Julia Michaels, Justine Skye, Keith Richards, Kid Cudi, KUNGS, l'Officiel, l'Optimum, lana del rey, lava records, Lee Daniels, Liam Payne, Lil Wayne, Lorde, Louis Vuitton, Luis Fonsi, Marian Hill, METRO BOOMIN, Monkeywrench, Monte Lipman, NBC TV, Nicki Minaj, Of Monsters and Men, Otis Redding, Palais d'Iéna, Paris, Pearl Jam, pop culture, Post Malone, pre order, Republic Records, Roc Nation, Seth MacFarlane, Simon Carpentier, SING, Ski Mask The Slump God, sofia Carson, spotify, star., Stevie Wonder, Taylor swift, The Avett Brothers, The Dream, The New York Times, the voice, The Weeknd, Tiesto, Towkio, Tuff Gong, Universal Music Latin Entertainment, universal pictures, Vaughn Lowery, Vicotor Solf, Victor Victor Records, Woodkid and The Shoes, xo, Yeezus, Yves St Laurent, zendaya on January 13, 2018 by wp360mag. 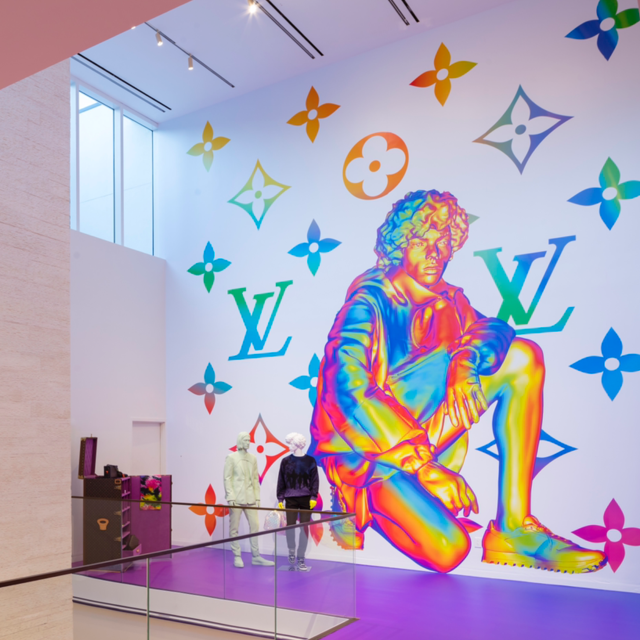 Louis Vuitton Miami Design District will be the only store in the US to prelaunch the Men’s Spring Summer 2018 collection on January 10th before the official launch on the 19th.Inspired by the idea of exotic islands and travel, Kim Jones’ Spring Summer 2018 collection is overflowing with colorful prints, technical details and light weight fabrics. In the spirit of the collection, Louis Vuitton has redesigned an iconic VW bus which will be parked outside the Design District store fromJanuary 10th to 22nd, before it departs for Rodeo Drive and lastly heads to Waikiki Gump. Miami-themed limited edition bumper stickers will be gifted with each purchase from the Spring Summer 2018 menswear collection. Louis Vuitton Miami Design District will also be the first store in the US to offer the SS18 surfboard. Additionally, exclusive Monogram Pacific leather goods will be available for purchase only at the Miami Design District store. The fabrics are lightweight, modern and fluid. 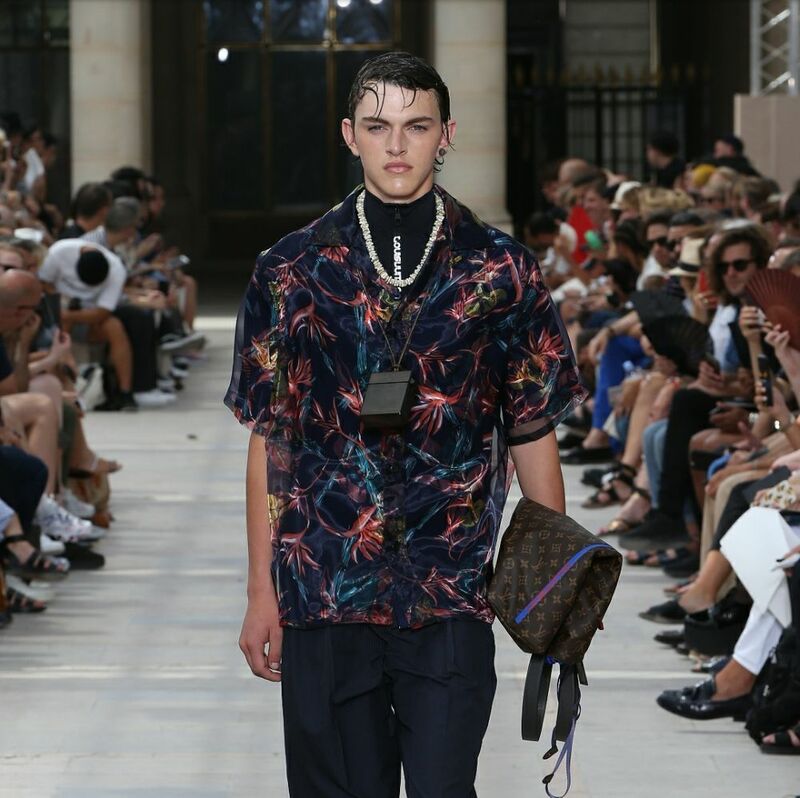 Technical skills, tonic mohairs and seersucker, a paper-thin “scuba” lambskin leather bonded with neoprene – fabrics that travel well and are practical, both demanded by the modern island-hopper and emblematic of the functional, technical roots of Louis Vuitton. Colours contrast the signature Monogram palette of earth tones with shades of khaki and flashes of sports-inspired neon, all “surrounded” by the deep ocean blue. The key theme of fusion is literally echoed in the accessories. The new style, the Monogram Split, contrasts different colourways of Louis Vuitton’ s iconic Monogram canvas, emphasized with a centre seam. The style is offered in classic Keepalls, re-engineered with a lateral seam; or the tidtotee with an oversized style split vertically, including the handle, which is taken from those traditionally used on the trunks. From mountains of trunks, to hand-luggage only- this is another journey, from past to present, charting the needs of the contemporary bigger. New colourways and treatments of the iconic Monogram are introduced – Pacific, a cobalt-blue, Oceania-inspirwd iteration and Reflect, whose hi-vis reflective finish is influenced by high-impact sport. The importance of the sportswear theme-surfing, scuba and trekking- is underscored by a new technical, sports inspired line, “Monogram Outdoor”, which mixes canvas with sports webbing, scuba, zips, cording and hardware based in the coloured metal if a climber’s carabiner clips, creating new styles infused with the energy and and dynamism of outdoor pursuits. Other styles play with the recent archive – blowing up the ‘Noe’ bag into oversized backpacks, and revisiting clog style shoes first offered for women. The footwear cross-breads these clogs with hiking boots, Harajuku with Honolulu. The construction of Louis Vuitton trunks inspire soles in dovetailed lightweight ash and nailhead metallic details – as modern today as they seemed 163 years ago. The soundtrack is as unique as the clothes: the musician Drake has recorded a song inspired by this collection, to be premiered at the show. 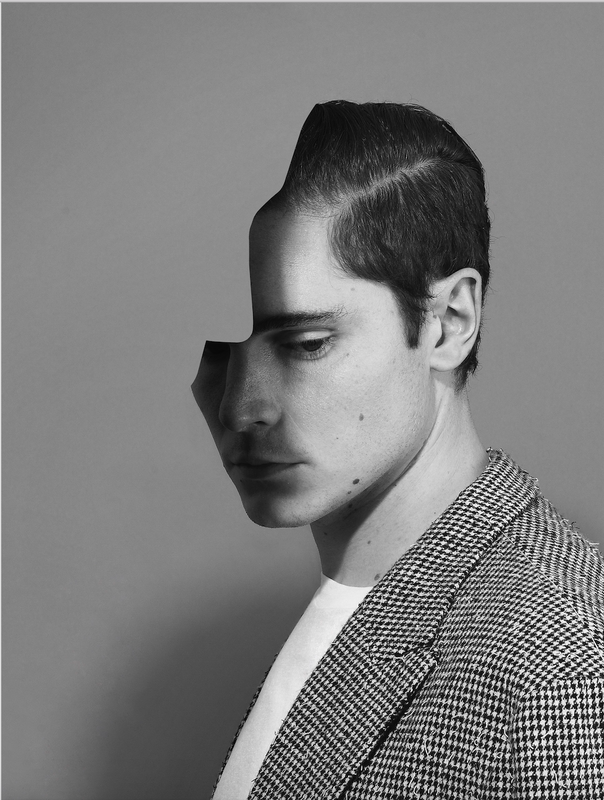 Another fusion – between music and high fashion. This entry was posted in Design and tagged 360 Magazine, accessories, art, colorful, consumer, design, Design District, designer, Drake, fashion, handbag, Harajuku, Honolulu, Kim Jones, Louis Vuitton, men's, menswear, Miami, Monogram, pacific, pop culture, prelaunch, prints fabrics, retail, Spring Summer 2018, us, Vaughn Lowery, VW, Waikiki Gump on January 8, 2018 by wp360mag. A surprise selection of rarities, curated to provide a spectacular moment in time – experiences that until now, were reserved only for the few (very) fortunate. The publisher’s modernly-debonair son, Daniel Curtis, has gone 3D with it and now Robb Vicesis a subscription box. The boxes are surprises each month, filled with the most small-batched wonderfulness; all curated around a story and meant to stoke and satisfy curiosity about the good life. The contents are worth $500-$800 and feature incredible things like technologically-wild writing instruments designed by Ferrari’s Pininfarina, hand made Italian Finlay & Co sun spectacles, luxe Euro-styled Bluetooth speakers or rare elixirs like the first creme de cassis made in 1874 from the house of Gabriel Boudier or the Louis Vuitton-owned Glen Morangie, maker of some of the world’s most spectacular single malt scotch whiskies since 1843. 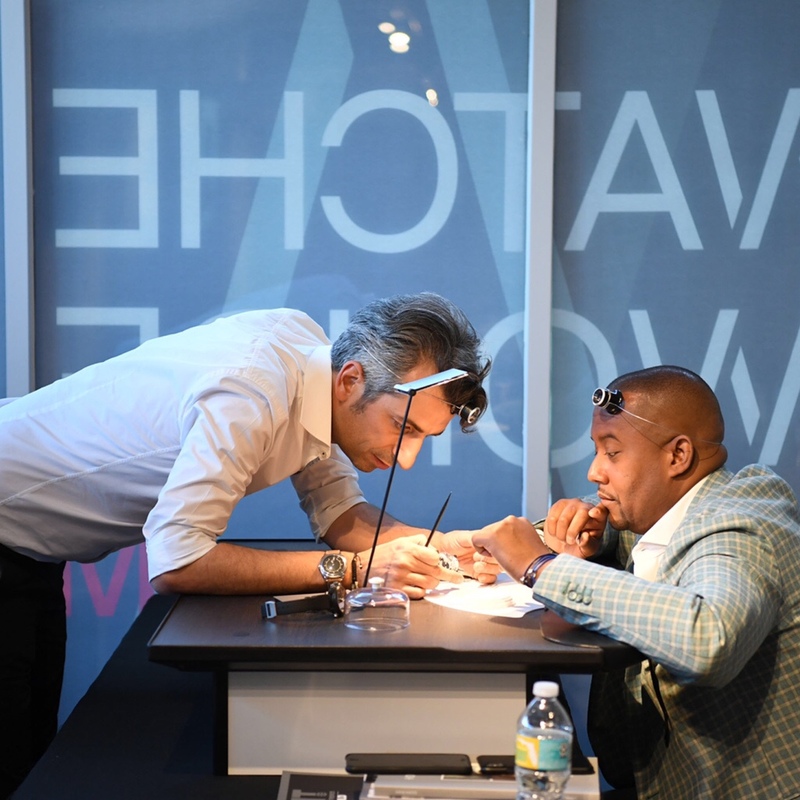 Since it’s creation in 2016, Robb Vice collaborations have been done with chefs such as Daniel Boulud and Marcus Samuelsson and collections from brands like Lalique, Master & Dynamic and Highland Park. Master milliners, Worth & Worth offered the making of a bespoke hat; the box included a tape measure and swatches of handwoven Honduran fabric from which to create it. This Spring, one of the boxes will feature all that it requires to experience the most moving of music on original vinyl. We can’t tell you what the products are – but if you remember the delight of buying a diamond tip needle, it may ignite your imagination about the contents. 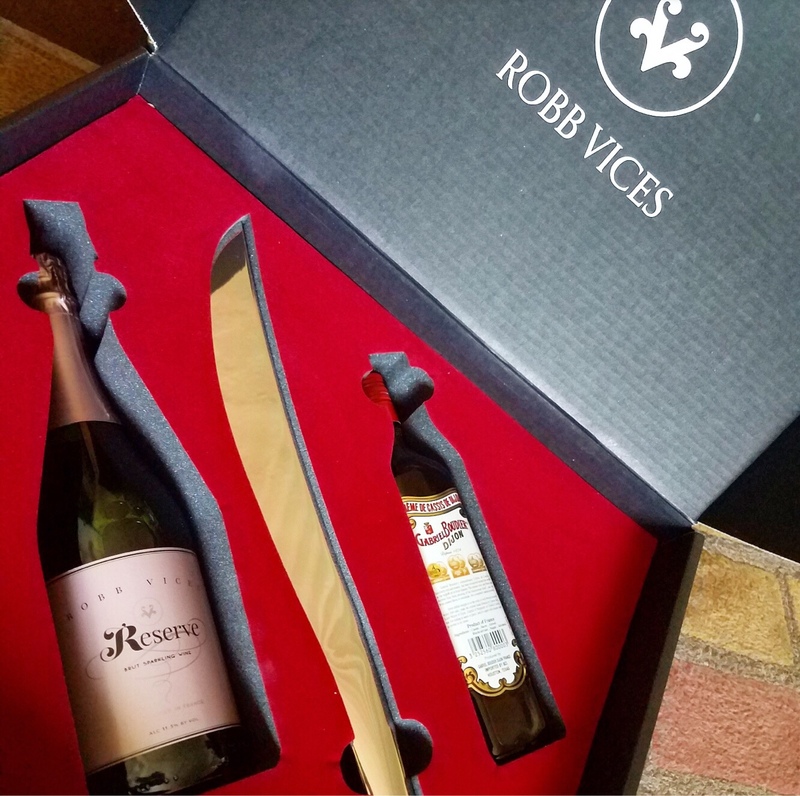 Robb Vices is about discovery; getting something in the mail that creates a spectacular moment, that until now, was reserved for the very few fortunate. This entry was posted in Feature and tagged 360 Magazine, art, Daniel Curtis, decor, design, fashion, Feature, Ferrari, georg Jensen, gift, Global Society, holiday, Kelsey Welsh, Louis Vuitton, luxury, music, present, report, report in a box, robb vices, Sabre, sleek, style, subscription, subscription box, Vaughn Lowery, wine on December 19, 2017 by wp360mag.